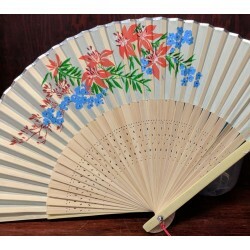 Use this fan on a hot day to keep cool. 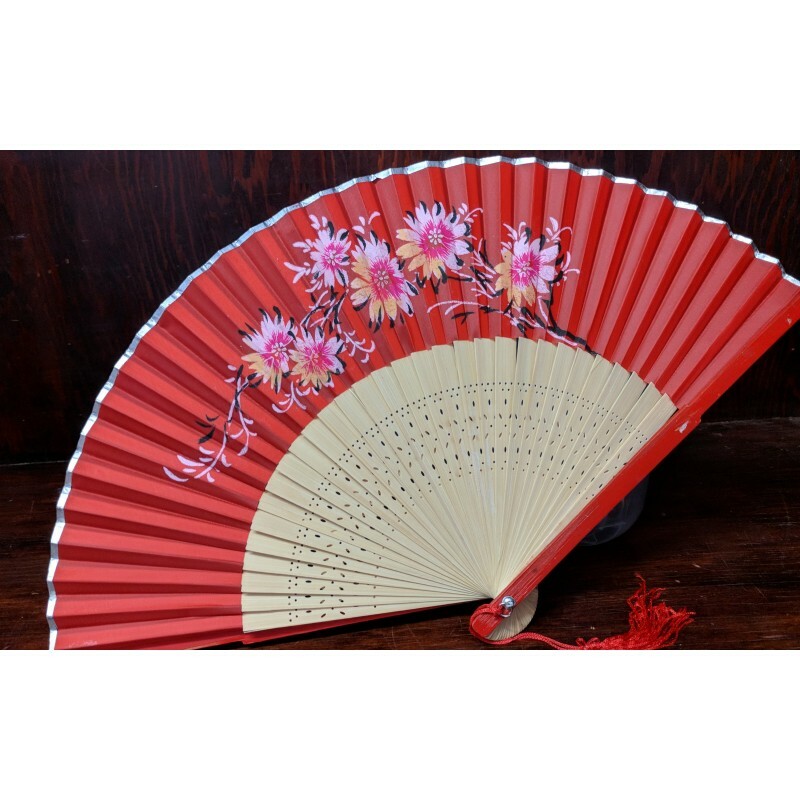 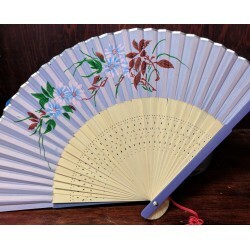 This is a light weight fan with a beautiful, different design on each of the 5 colors. 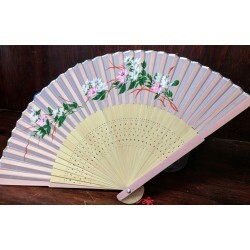 These fans are 9" long and when fully opened are 16" wide.